We provide the facility and labor to repackage bulk material into smaller containers or consolidate smaller containers into bulk. Trans loading services are available at both our Forest Hill, TX and Roxana, IL locations. 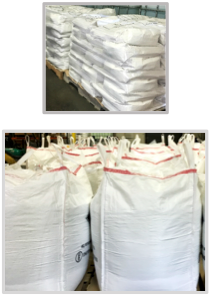 Advanced Blending can receive material in super sacks and repackage into smaller packaging - bags, boxes, pails or fiber or poly drums. We can also receive materials in smaller packaging - bags, boxes, or drums and repackage into larger packaging - super sacks. Advanced Blending can receive material in bulk tanker trucks and repackage into smaller packaging - totes, drums, pails or gallons. 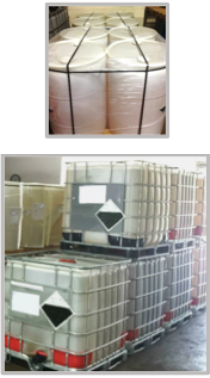 We can also receive materials in smaller packaging - totes, drums, pails or gallons, and repackage into larger containers.